There’s a lot of talk about “fake news,” but some fake news rarely if ever gets flagged, because the fact-checkers don’t care. Some hate crime hoaxes fall into this category; they fit an approved meme. And of course the fake news that is spun to smear Fox News rarely gets fact-checked at all. Time and time again, Fox News hosts questioned whether the 44th president was even eligible to hold the office, saying he was born in Kenya and then that he had released a fake birth certificate to lie about his origins. Who are the Fox News hosts who said “time and time again” that Obama was born in Kenya? HuffPo doesn’t say, because there aren’t any. It’s a lie, a classic of “fake news,” but one that will never rouse the ire of Brian Stelter. There are few websites with a longer pedigree in fake news than News Hounds. Whether it’s Karl Rove indicted, George Bush’s cocaine arrest, or Sandy Berger being cleared of all charges, they have fabricated farcical prevarications for years. And as spectacular as those may be, they save their most creative falsehoods for their obsession with Fox News. Did you know Oliver North is a “convicted traitor?” Somehow The Cable Gamer missed that trial. And there’s the little matter of their ugly smears of Megyn Kelly. The above examples just scratch the surface. Writer “Priscilla,” who your Cable Gamer knows from one of her O’Reilly lies, has a long record in the fake news game. And her Christmas offering proves to be a one-paragraph tour de force of dishonest fakery, not just wrong but fake in multiple respects. While claiming to be “America’s Newsroom,” Fox News sure doesn’t reflect the religious diversity of America. 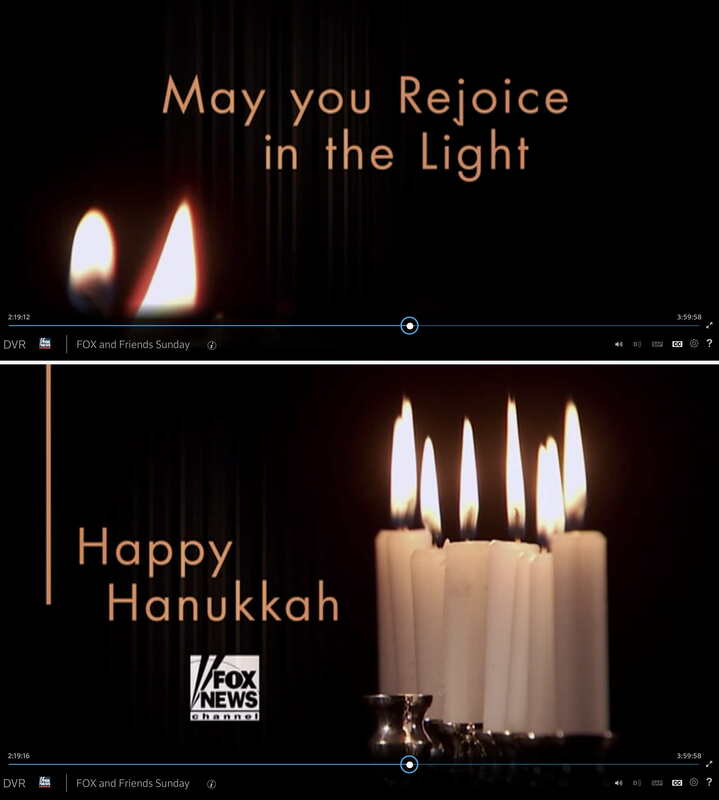 Look no further than today’s Fox & Friends graphic (right) to see that Fox is targeting a very specific audience. There’s obviously no room at the Fox inn for Jewish folks whose holiday began last night. But there’s more. Fox & Friends has been airing this message for several days now, not just today. 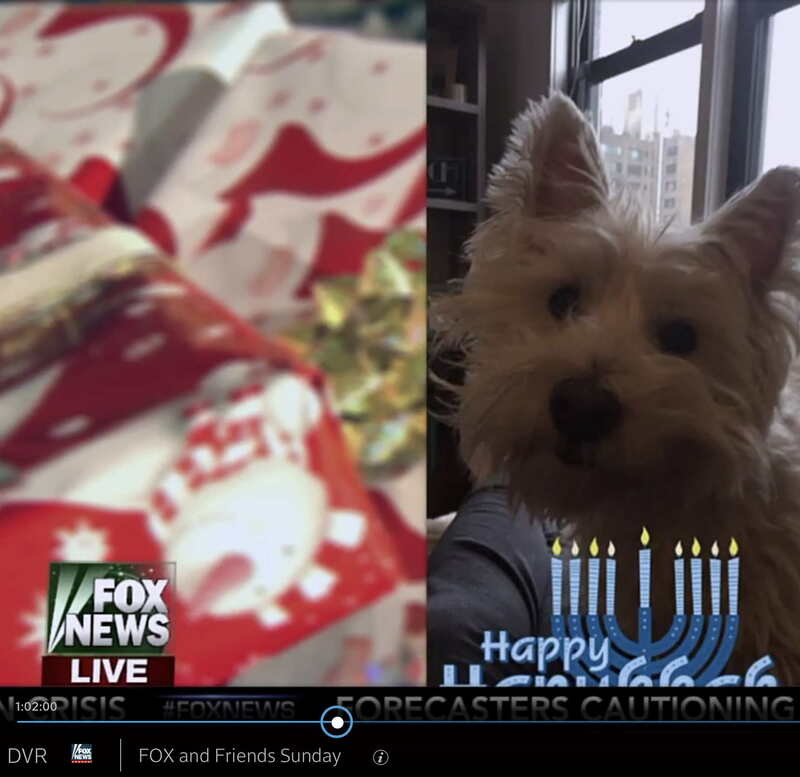 Not only have they been airing this message, they’ve also solicited, received, and showed Hanukkah photos from viewers, like the one you see to the right. It’s no surprise none of these facts are in Priscilla’s post–these multiple lies of omission increase the fakery of their fake news to a higher order of, well, fakery. Another lie of omission. Is it possible for one paragraph of fake news to be any faker than Priscilla’s: misleading, dishonest, and outright fraudulent in every respect? It’s clearly a deliberate lie, written without even two minutes’ attempt to determine the facts, simply to smear Fox News. The Cable Gamer feels safe going out on a limb and predicting that News Hounds will post no apology for this. Why should they? Priscilla was just doing her job: fake news. Who’s going to call her out? Google? Facebook? They’re not going to tag this, or any News Hounds smear, as “fake.” Brian Stelter, who himself promotes fake news without fact-checking? He’s more likely to retweet it than call it out. 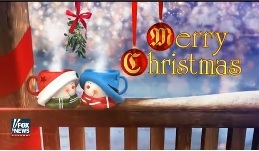 The News Hounds dishonor Christmas by using it to lie about the Feast of Dedication, yet they’ll continue to be listed as a source of “news” by Google no matter how many times we see them lie. But it’s still fake news, from fake News Hounds. FOX-HATERS apparently get a lifetime FAKE NEWS pass, be they Hounds or Twitter toadies. December 27, 2016 - 12:28 am Terry K.
The link you provide is not from a reliable source, but The Cable Gamer will accept it since it proves our case. There were no Fox News hosts who said time and again that Obama was born in Kenya. There is no quote in the post you provide of a Fox News host saying that. In fact, your own link reads: “Hannity Says Obama Was Born In The U.S” Proving my point. Looking forward to your retraction. Opinion people offering opinion. That is not Fox News. Not even news. Media Matters, what News Hounds could be if funded be by a foreign Bond villain.